Whether you are in the market for a new home or refinancing your current loan we have you covered. Our automated EasyLoanProgram will guide you through the process from start to finish painlessly. Shop for your new home like a cash-buyer! 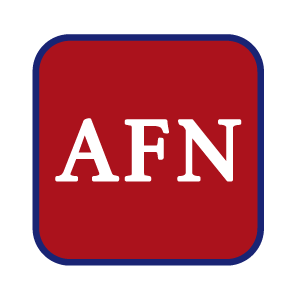 Know what you can afford and negotiate in good faith with a pre-approval from American Financial Network, Inc. With an AFN pre-approval, sellers will take you seriously when you make an offer. Having a pre-approval in-hand gives you an edge over other offers made on your dream home. It also speeds up the loan process once you've chosen a home. We understand that purchasing your first home can be intimidating. Having American Financial Network, Inc. on your side will make all the difference. Let us make this dream a reality for you. Homeownership is a lifetime commitment and we will be there for you every step of the way. Perhaps you secured your original loan when rates were higher and you want to take advantage of the current lower rates. Possibly you have an adjustable rate mortgage and you are looking to move into a fixed-rate loan. Both are reasons to refinance now. Many homeowners want to pay their home off faster with a shorter term loan. All of our branches offer no-cost refinance analysis. Get pre-qualified for your home loan today. We make it easy to get pre-approved. We have loan options to meet your needs, from first time homebuyers to rehab to jumbo.